← Maui, Hawaii. February 12th, 2011. Speedway Police blocked off a portion of Goodlet Road after an officer discovered a “massive sink hole” Friday. Road and water utility crews were called to the scene to investigate what caused the 8 foot by 4 foot hole in the roadway and to determine if there was any chance that the rest of the road might give way. 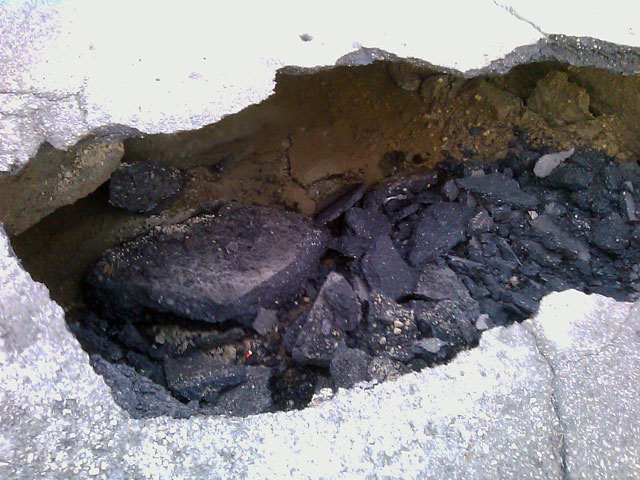 This entry was posted in Pictures and tagged Indiana, sinkhole, water main. Bookmark the permalink.